Congratulationsto XSEED, Falcom, and the Ys series. 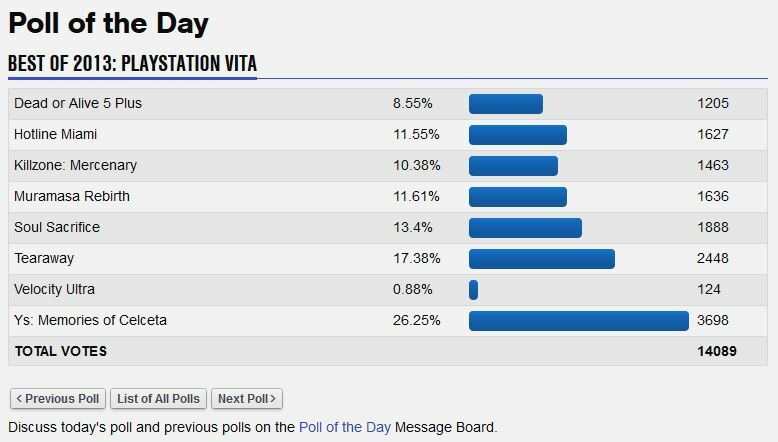 Yesterday’s Poll of the Day for GameFAQs was for the Best Vita title of 2013. Memories of Celceta won out big with 3698 votes. The second place title, Tearaway had only received 2448. The webmaster, creator, and administrator of Endless History and all the sites located on esterior.net. Web developer and designer by day, translator, Kiseki crack theorist, and game streamer by night. Also, apparently a very floofy guy.